Microtransactions can be a dangerous thing. Three years ago, at the height of its popularity, there were numerous reports of people getting themselves into financial difficulties after they spent thousands of dollars buying lives for Candy Crush Saga. And while overspending on in-game purchases may not be quite as widespread today, it still happens, as a Canadian man found out after his son spent almost $8000 on microtransactions. Lance Perkins from Pembroke, Ontario, had given his son a credit card for emergencies or to make purchases for the family's convenience store. But when the latest bill arrived, Perkins was shocked to find $7625 in charges from Xbox Live. These charges had been accumulated over the course of one month, all generated through microtransaction made in one of the FIFA games. “It floored me. Literally floored me, when I'd seen what I was being charged,” Perkins said. He alleges that while his son admitted he used the card illicitly, the 17-year-old had no idea he was racking up charges. Perkins contacted the credit card company, who told him that the only way they could do anything was if he charged his son with fraud. He then contacted Xbox and argued that his son is a minor. The company is looking into the matter, but the bill stands for now. “Until I actually hear from them, it's actually very discouraging,” he said. 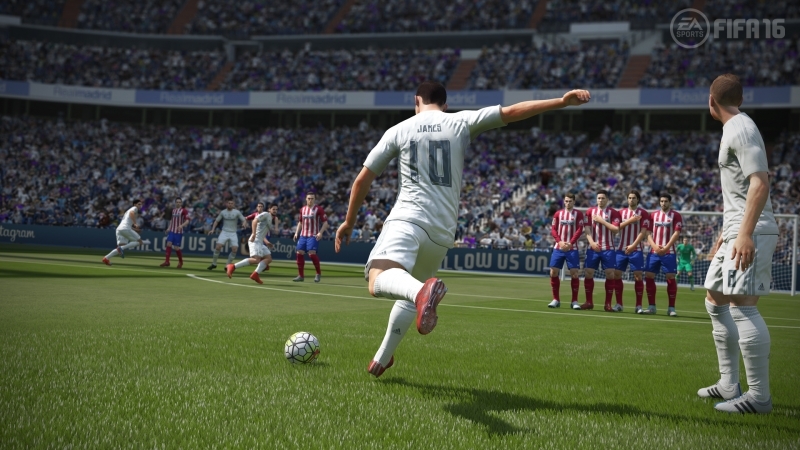 Players can purchase FIFA points within the soccer game that range from $0.89 up to $99.99. The console does, however, features built-in parental controls that prevent unauthorized purchases. Considering the number of verification and confirmation screens that most games make users go through before a purchase can be made, it is difficult to believe that the son had no idea he was making multiple transactions. Internet forum users have also expressed doubt over the legitimacy of the claims. “Lol, he thought it was a one-time charge? Oh, even though you have to fund your wallet amount and it asks you to confirm multiple times,” one Redditor wrote. Perkins has vowed that this won't be a problem again. "There will never be another Xbox system -- or any gaming system -- in my home,” he said. The father was a chump giving his kid a credit card in the first place. You don't give 17 year old irresponsible kids credit cards, in fact you don't give anybody a credit card, they get their own. It serves the father right, I have no sympathy for him and he should be made to cough up. Darth Shiv, cliffordcooley, wiyosaya and 7 others like this. You say that because you're very careful and KNOW when you're being charged. This kid didn't even know; I highly doubt that he would KNOWINGLY charge up $7k. I think FIFA should be charged with fraud and MS as a complicit party to that fraud. As far as the cc card company goes, they got a person who really didn't care, since they would work with you if you didn't authorize every single one of those charges. FIFA or MS should not be charged fraud over the poor choice of that kid or the gather. There is no fraud here - that claim astounds me. The father have his card to his son, son blew a bunch of that money on a game with -multiple- verification steps for purchasing electronic goods. It's the son's fault, and the dad needs to pay up, end of story. Blaming a corporation, with multiple verifications, for not questioning your own purchase is ridiculous. The father probably learned a lesson about trusting a child with so much money. The fact that a modern 17 year old 'wasn't aware' of the situation is bull - my 10 year old sister can recognize that. cliffordcooley, wiyosaya, alabama man and 2 others like this. "the 17-year-old had no idea he was racking up charges. "He thought it was a one-time fee for the game," "
Any one believe this for a second? I sure as hell don't, what 17 year old doesn't understand how money works if their parents run a convenience store, had Billy never been taught how to use the cash register but instead given a credit card to make purchases for the store? This makes less then no sense, the kid was just being a dumb **** teenager and thought he could lie his way out of it, they all do it, I did it at least a couple times at the age to cover things up. Darth Shiv, cliffordcooley, wiyosaya and 5 others like this. Giving him a credit card wasn't a bad idea on its own. It helps to build good credit early and an emergency form of payment is also good, so it was probably in the son's name and paid by the father. Where the father screwed up was giving his son a credit card with an $8,000 limit. SirChocula, alabama man, rpjkw11 and 2 others like this. If I had done that my father woulda beat the **** outta me.....and since I knew he woulda I would not have done it. Of course that woulda been back in the 50's or 60's and no one would go to jail. Today I can hear the dad...now son...I am counting to three...uh make that 5 uh make that 10. This kid didn't know he was being charged like a motorist with blue lights in his rearview mirror knows he isn't being pulled over. Kid got sucked into the game, lost tract of the number of purchases, and magically became ignorant when the magnitude of the spending was revealed to him. Or he's got an 85 IQ. Xtreme gamer, Adhmuz and ikesmasher like this. 17 years old and doesn't know when he's being charged? I agree on his father being a chump. What a great word to use. I guess I was just believing the kid when he said that he wasn't aware of the charges. IF there are multiple verification steps/screens that make you aware that you're spending money, then yes, it's a sad time for that family...$7k is no chump change. Parent was a dumb a$$ and so is the kid. And why not give him a credit card with a $500 limit that would have been as far as the damage went. heck even my own credit card I keep the max at $2500. Parents today have to monitor what their children are doing online no excuses or being lazy or you get stuck with huge bills like this for your complacency! My 14 year old nephew has a bank account with his allowance money and can keep track of what he spends and what he has. He does use money on FIFA but has never gone negative and does save up for when he wants something else to buy. If a 14 year old can do it so can a 17 year old and as someone who has bought things on the XBox store, I can assure you it is a damned pain in the *** to do and there is no way you do not know you are being charged multiple times. The kid did something stupid, he got caught and is trying to cover his *** so he won't get in trouble, it is what stupid teenagers do. Lionvibez, cliffordcooley and wiyosaya like this. I'm not forgiving the son who, lets be honest, knew he was spending the money. The question is, how does a company argue that they provided a service worth $8000? The corporations involved are crooked. As much as there doesn't appear to be a legal way to stop it cause they cover their *** well... its just not right. I wish the gaming community as a whole could just come together and put their foot down. A game that has microtransactions available for it, should be completely boycotted. Unfortunately, there are actually people out there that like and defend microtransactions. SirChocula, Puiu, cliffordcooley and 4 others like this. Anyone who plays fifa knows there is no way to spend $8000 in one go. The most you can buy per transaction is I believe, $100. You would have to do this X amount of times over and over in order to reach 8k. The kid knew exactly what he was doing. We've all been there when we make a dent in the car, and come up with the most likely excuse we can. Except this kid is a terrible liar and took a shot in the dark with it. I feel no sympathy unless he's legally mentally handicapped, hopefully he learns, as he's only years away before he has to do things on his own. From what I read here it looks like it was a terrible idea but what's done is done and now it's up to his old man to fix things up. How do you spend 8 grand on a game anyway? You can't lay all the blame at the kids feet. He's young and irresponsible. His old man is more to blame and he's the one left footing the bill. I agree that parents are responsible for their kids but he is not a little kid, he's 17. He should be fully aware of his actions and probably is. Of course he is. I also know it's easy to act dumb and to try shift blame, I'm sure we've all tried it at some point but if the old man swallows his youngsters far fetched story, he's dumber than he looks. That's what I said. But thanks for reinforcing that youths these days are totally out of control when it comes to spending other peoples money. Kid is 17, put him to work or kick out of house. Either he pays you what he owes or you save 8000$ next year on his expenses.